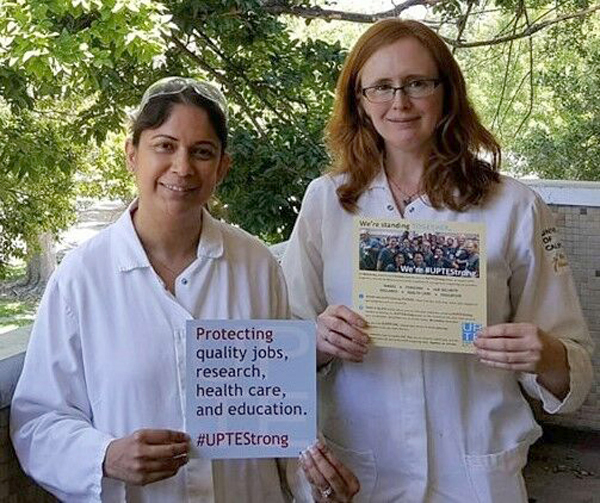 UCLA's Daily Bruin reported on UPTE's efforts to win pay increases for counseling and psychological services employees. Counseling psychologists are paid substantially below other UC psychologists, and the lower pay leads to higher turnover. That in turn leads to an erosion in services for students. UC president Janet Napolitano has launched a “new free-speech center” which she will lead in Washington, DC “to study free speech and how Americans’ views of the First Amendment are changing,” according to the Mercury News. Funding will come “through UC’s presidential endowment, a blend of unrestricted philanthropic gifts to the university system, and private funding.” You can read Napolitano’s own words at USA Today. Some believe the move falsely frames the debate. UCSB professor Chris Newfield argues in the Remaking the University blog that UC’s new free speech center feeds “a dangerous fiction” that colleges and universities are anti-free speech. The Washington Post reports that the Republican tax cut plan, due to be released this week, could “drastically and irreparably” transform workers’ retirement plans by dramatically lowering the 401(k) contribution cap to $2,400 per year. The budget passed by Republicans last week also cuts $1.5 trillion from Medicare and Medicaid to enable a massive tax cut for billionaires, according to the union-allied California Alliance for Retired Americans, which urges voters to use this toll-free number to call their Congressional representatives to express their outrage: 877-762-8762.